Ukraine has placed signing multiple free trade agreements (FTAs) high on its agenda in 2017, with Israel, China and Canada being at the forefront. Deputy Economic Development and Trade Minister of Ukraine (and also Trade Representative of Ukraine) Natalia Mykolska stressed at the end of last year that a FTA with Israel will be a priority for 2017 and has continued to push for a deal, with the fourth round of FTA discussions between the two nations commencing over the next few days (24th-26th January). Discussions on tariffs, trade liberalisation and provisions of a draft FTA will be covered. Both sides aim to work on a common vision and approach for trade preferences for agricultural and industrial goods during this round of talks. A fifth round of talks has also been strongly suggested. Ukraine has also targeted boost trade with China, with Mykolska aiming to boost trade volumes with the Asian powerhouse by $2 billion in 2017. Trade turnover between the two nations increased by 5.3% in 2016, reaching $6.5 billion ($4.68 billion in imports; $1.83 billion in exports). The targeted trade increase will represent 30% of this value, a very optimistic target for the European nation. “Expanding and strengthening the trade relations with China is our priority for 2017,” said Mykolska. The Ukrainian government is planning on sending representatives to China over the course of the year in order to deepen business and trade ties. Chinese President Xi Jinping has recently stated that his country will aim to play a political role in Ukraine, mainly with the intent of seeking a political resolution with the crisis in the country. Oleh Ustenko, Executive Director of the Blazer International Fund, is adamant that Ukraine could attract major inflows of foreign direct investment if a potential FTA with China is signed. Recently, the Chinese government donated 23,500 computers across 2,400 schools in the Ukraine, allowing students to learn how to use modern technology as well as coding and programming. Ukraine and Canada actually signed a free trade agreement in July 2016 but it has yet to be ratified, though Mykolska expects this part of the process to be completed in March. 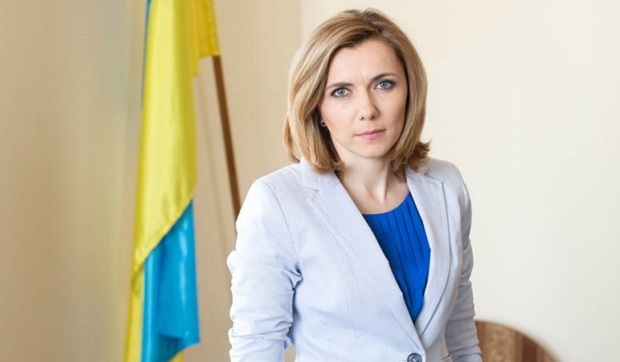 According to her, Ukraine will consider ratifying the agreement in February and will wait for Canada do to their part afterwards. Prime Minister of Canada Justin Trudeau visited Kyiv to sign the agreement last year and stated that it aims to provide a mutual improvement in both economies, spur innovation and benefit the middle class (and those working towards it). Ukraine offers numerous opportunities for businesses and investors in Canada, with areas such as agriculture, aerospace, energy and information & technology attracting potential suitors. Ukraine exported $67 million worth of goods to Canada in 2015 (mainly fertilisers, coal and metals), while importing approximately $210 million worth of goods (such as pharmaceuticals and fish). The FTA will provide ample opportunity for both of these numbers to increase, as well as large inflows of foreign direct investment into each nation.